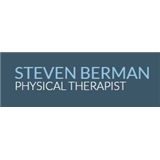 Steven Berman, PT (Flushing) - Book Appointment Online! Our physical therapy practice has become a place where patients feel comfortable and supported on their road to recovery. We’re a small family owned practice specializing in orthopedic and neurological problems, therapeutic exercise and a number of other services. I had 2 ACL revision surgeries (tore my ACL 3 times).. Have some numbing, muscle atrophy, and stiffness, as I straighten my knee and squat. I need help to work on this and my last revision was 7 months ago. I came into the office as the front desk manager, Ramina, had already expected me and respectffully greeted me. As I was filling out the paperwork, Dr Berman came out to introduce himself. The minute I finished, I was taken into one of the prepared rooms for me where Dr Berman had come into to go over my entire history and assess my knee condition. He listened attentively and already was drawing up plans. Dr Berman was genuine in promising to help never well. He was smart, honest, kind, and spent plenty of time working on me. I will surely be coming back to his practice. Once again, great staff and great doctor. Thank you.